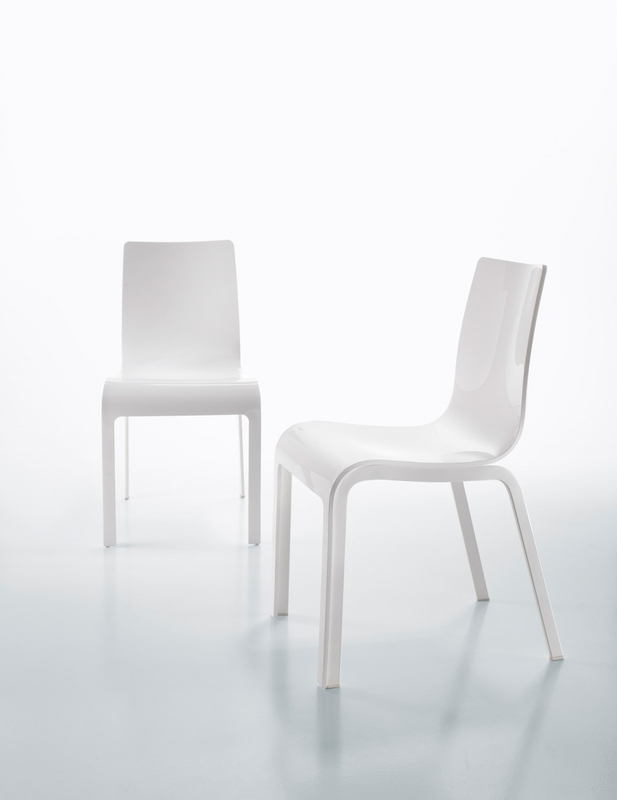 The chair has varnished steel structure with the seat in thermoformed methacrylate. Lina is a very simple and clean designed chair, so the shaping doesn’t require big investments. The shape of the seat was designed in a way to reduce the production scraps, meaning that it has tapering angle which flows along the methacrylate sheet and gives the possibility while cutting to insert the backrest between the legs and the seat. Line is a child of 2009: very neat at production process and with a style that is neutral in order to last for many years.